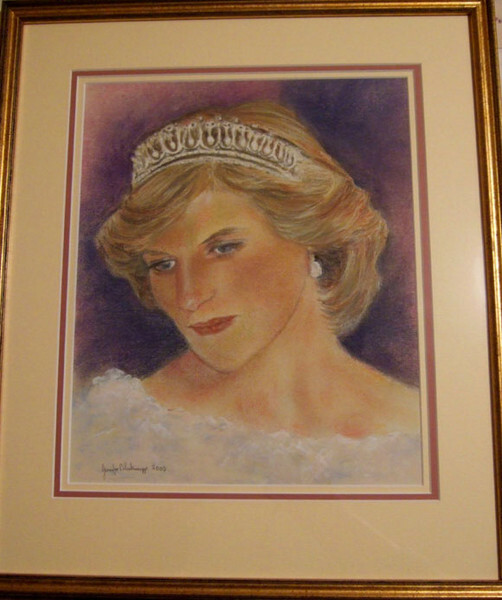 A pastel work from the drawing I have on here,The title also relates to what I was feeling when doing this.Princess Diana will have been at rest for ten years in two years time, but it feels like yesterday ,she will always live on in our hearts forever. I loved princess diana i thought she was one of the most kindest lovely people especially in the celebrity world, i found her to be very genuine i was so sad when she died,you did a beautiful portrait of her. This is so beautiful, you have captured everything that was Diana perfectly. this pastel work reflects your love for Diiana with softness and tenderness !